The 1st Betfair Automated Trading Seminar on 13th October 2018 Sold Out In 5 Days! 9 markets traded to a profit for the day of £21.39 with 6 losing markets. The account balance now stands at £2,150.15 on day 353. All times are CET and trading is considered for eligible races from 15 minutes to 1 minute before the start. Hedging may take place InPlay depending on trading and market conditions but occurs on no more than 10% of markets historically. On day 90, 180 and 270 all profit in excess of the projected profit will be donated to the JuiceStorm Trading charity of choice at The Injured Jockeys Fund. If you enjoy following me on this trading journey please feel free to donate. 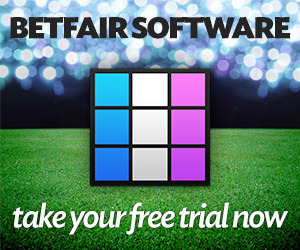 Would you like to automate this strategy on your own Betfair account? I am holding one seminar at Gatwick on Saturday 13th October 2018 for a maximum of 10 delegates. The focus of the seminar will be to set all delegates up with a personal Virtual Private Server, install BfBotManager V3 on their server and then import the private strategy portfolio – the same strategy portfolio that is providing the results here. The strategy portfolio will be free of charge for one year and you can find out more in the update on 1st May 2018 here or you could simply register as a delegate here. Please register your interest for the 2019 Automated Trading Seminar below. If you're trying to sell me something please don't answer because I won't reply! There are 146 Guests online and 84 Members Logged In currently reading JuiceStorm.com. Welcome everyone. Join TradeChat for a chance EVERY month to win a year's subscription to TradeSelect - worth £600!